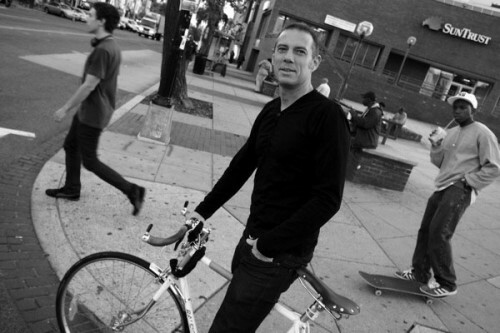 “Citizen Cycling (quickly becoming a global movement) is everyday biking for the rest of us. Bike-as-you-are, hop-on-and-go, in normal clothes (chic if that’s you), totally inclusive, no need for special gear or an alternative lifestyle. It can mean radically re-thinking how we ride here, figuring out where we’ve gone wrong. In DC, biking tends to be speed and fear over style and joy. It doesn’t have to be that way. If you’re determined to ride in the midst of traffic, you’re setting yourself up for grief. Why not slow down, stay out of the scrum, take your time, stop for coffee. You’ll show up looking and feeling good, at the price of a few minutes. Be sure to check out the blog, District Citizen Cycling.